April is Jazz Appreciation Month, and WBGO is celebrating by showcasing some of the talent from local programs. The session features a handful of Shorter compositions, beginning with “Toy Tune,” from the album Etcetera, and “Scourn,” from The Young Lions. 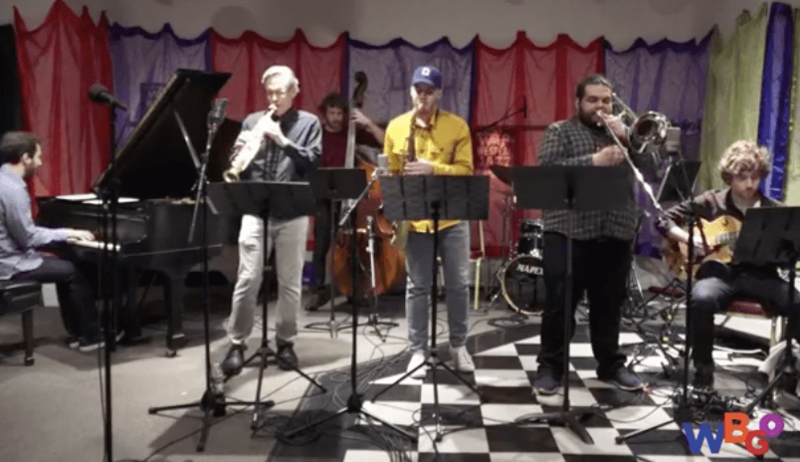 MUSICIANS: Dave Pietro, soprano saxophone; Andrew Golub, tenor saxophone; Alejandro Espinosa, trombone; Guillaume Muller, guitar; Andrew Andron, piano; Gui Duvignau, bass; Aaron Jennings, drums.